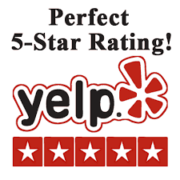 Trust Akins Auto Repair with your next car Electrical Diagnostic & service. By harnessing the power of the battery, the starter motor powers the car to “turn over,” or start. 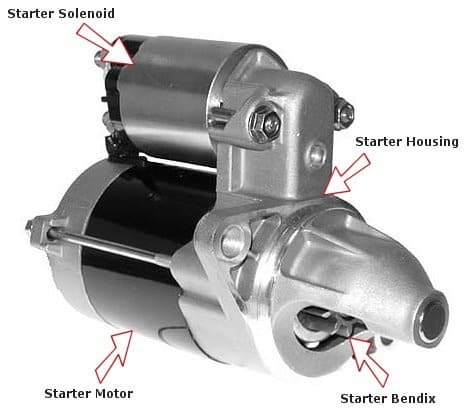 The starter motor is the heart of the starting system. It is a very powerful DC electric motor with a gear system that connects to the flywheel on the engine. The starter motor causes the engine to revolve at about 350–450 rpm and the engine develops enough vacuum to enable combustion to occur, which is what causes the engine to start. Once the engine starts, the driver releases the ignition key from the start position, allowing the starter to disengage. The two very large battery cables are connected directly to the starter motor. The positive cable connects to the motor feed while the negative cable connects near the starter motor case. The ignition switch provides a trigger signal when the key is turned to the start position. This trigger signal is sent to a heavy duty switching device on the starter motor called the starter solenoid. The trigger signal from the ignition switch energizes a magnetic field that brings together two large copper discs that allow the battery to feed current into the armature of the starter motor, causing it to rotate or ‘crank’ the engine. There is a specialized gear engagement mechanism on the end of the starter motor’s armature shaft called the starter drive. When the starter motor spins, it extends a gear that engages the flywheel so the starter motor is able to rotate the crankshaft. When the engine ‘fires’ it spins the starter motor gear, this gear has a special releasing mechanism called an over-running clutch. The over-running clutch allows the starter gear to spin freely on its shaft while the engine picks up speed as it begins to run. Otherwise the engine could destroy the starter motor and drive by turning it too violently and too fast. When the driver of the vehicle releases the ignition key, the trigger signal is interrupted to the magnetic field in the starter solenoid and halts the operation of the starter motor. Car starter problems arise unexpectedly and for more than one reason. 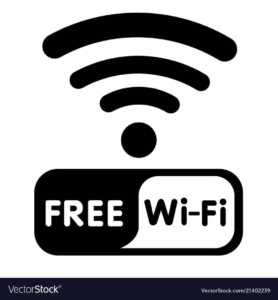 Whenever there’s corroded terminals, loose connections, a bad, worn out or damaged system component you’ll notice. Starting your car becomes more difficult, or it simply refuses to start. Unfortunately, you won’t see the source of the problem when all of a sudden the system fails. And repeatedly turning the ignition key, hoping that eventually the engine will fire up when it refuses to start, doesn’t always help. Most often, it creates more problems. Fortunately, common starter system problems happen in predictable places. And you have at your disposal more than one strategy to help you check the system in your car. Whether it is lack of power, a bad electrical connection, or a bad starter component, use these five troubleshooting tips to fire up your engine again. Begin with one of the most common sources of engine starting problems. You need to know whether you have enough juice to operate the starter motor by measuring the amount of voltage in your battery using a voltmeter. 1. Set your voltmeter to a range higher than battery voltage, like 20 volts on the DC (direct current) voltage scale. 2. Turn on the meter and connect the test leads across the battery terminals. Touch the negative lead to the negative (-) post on the battery and the positive lead to the positive (+) post on the battery. 3. Turn on your car’s headlights. 4. Read the display on your meter. Your battery should have between 12.4V (75% charge) and 12.6V (100% charge) to properly operate the starter motor. If there’s less than 12.4V, recharge the battery and try to start the engine again. With a reading of 12.4V or less on a three to four years old battery, it’s a good idea to hydrometer-check your battery. The hydrometer is a simple tool that lets you know the state of charge and health of your battery. So you’ll know whether one or more cells have failed. Buy an inexpensive hydrometer online or at most auto parts stores. Then check this article on troubleshooting a car battery using a hydrometer. Corrosion around battery terminals prevents electrical flow. This is a common problem on a battery or starter system that hasn’t received much attention. If you notice a layer of corrosion around one or both battery terminals, clean them with a solution of baking soda and warm water. * Mix 8 ounces of warm water for 1 tablespoon of baking soda in a small container. * Thoroughly mix the solution. * Disconnect the terminals from the battery and apply the solution to the terminals and battery posts using a soft brush. * Clean the battery top with the solution as well to remove dirt and acid, which drains battery power, but don’t let the cleaning solution seep under the filler caps. * Remove the caps from the top of the battery and check the electrolyte level. The electrolyte should reach the bottom of the filler rings. If necessary, add distilled water to bring the electrolyte to the correct level. * Check the tray where the battery sits and clean it as well. * Reconnect the terminals and try starting the engine again. Check the connections at the starter solenoid (the small cylinder on top of the starter) or starter relay. Most Ford vehicles use a remote starter relay instead of a solenoid. The positive (red) battery cable connects directly to the solenoid or starter relay. Can’t find the relay? 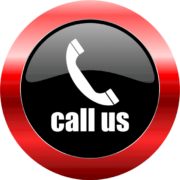 Consult the vehicle repair manual for your particular car make and model. If the solenoid or relay fails, the car won’t start. * To quickly check the solenoid, disable the starting system by disconnecting the thick wire from the center of the distributor cap or by removing the fuel pump fuse — consult your vehicle repair manual to locate the fuse, if necessary. This will prevent the engine from accidentally starting as you check the solenoid or starter relay. * If you disconnected the wire from the distributor, ground it to a bolt or unpainted metal bracket on the engine block using a jumper wire. 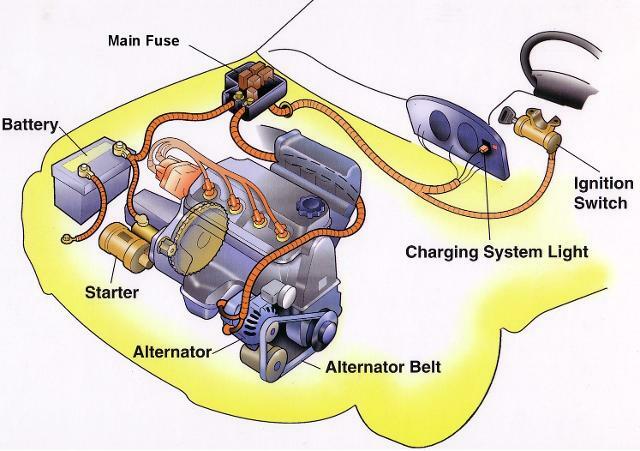 * Ask an assistant to try starting the engine as you listen for any sounds coming from the starter solenoid or relay. If you hear a solid and loud click, it means the electrical current is reaching the solenoid and it’s properly working. If you hear a weak click or chattering sound, check the wires connected to the starter solenoid or relay. Check for dirty, loose, disconnected or broken wires that will prevent electrical current from reaching the motor. If the wires and connections are in good condition, the starter motor, solenoid or relay have failed, and you need to replace it. Depending on your particular vehicle model you may need to raise the front of the car or remove the intake manifold or some other component to reach the starter motor. Consult the car repair manual for your particular model, if necessary. * If you need to raise your car, safely support it on jack stands, engage the parking brake and block the wheels to prevent the car from rolling. * Make sure the starter mounting bolts are tight. Loose mounting bolts will keep the starter drive from properly engaging the flywheel. When this happens, you’ll hear a grinding noise as you try to fire up the engine, since the ring gear on the flywheel and the pinion gear on the starter clash, unable to mesh properly. * If the mounting bolts are tight, remove the starter motor from the vehicle and check the pinion gear — this is the small gear at the front of the starter that engages the flywheel to crank the engine. Check the condition of the pinion gear’s teeth. Worn or damaged gear teeth will prevent you from cranking the engine as well. * Using a standard screwdriver, try to rotate the pinion gear in both directions. The gear should only rotate in one direction. If it moves in both directions or doesn’t move at all, replace the starter. Make sure to watch the following video to get a visual reference of the trouble points you want to pay attention to. If you removed the starter motor for inspection, this is a good chance to check the flywheel as well. The flywheel is the large, heavy wheel between the engine and transmission. This is the wheel that the starter pinion gear engages to crank the engine. * Once you’ve removed the starter motor, set your transmission to Neutral. * Have an assistant rotate the crankshaft by turning the center bolt on the crankshaft pulley using a ratchet or breaker bar and a socket. You’ll find this pulley at the front and bottom of the engine block. This pulley rotates the drive or serpentine belt to run the alternator, steering pump and other components. Depending on your vehicle model, you may need to remove a wheel to gain access to the pulley center bolt. * Watch the flywheel as it rotates and make sure the teeth are in good condition. Missing or damaged teeth will prevent the starter motor from cranking the engine. Replace the flywheel, if necessary. All of these instances will be thoroughly described and diagnosed below. If your engine is cranking as usual and still refuses to start, you’re likely dealing with an ignition or fuel system issue, not a starter issue.